Alexander Rossi (Andretti Autosport) wins the Honda Indy 200 at Mid-Ohio, the 13th round of the 2018 IndyCar Series season. After starting from pole, Rossi clinched his second win of the season thanks to a clever two-stop pit strategy, against rivals who made three stops. It’s his fourth IndyCar win in a career and the 60th win for Andretti Autosport, but team’s first at Mid-Ohio. 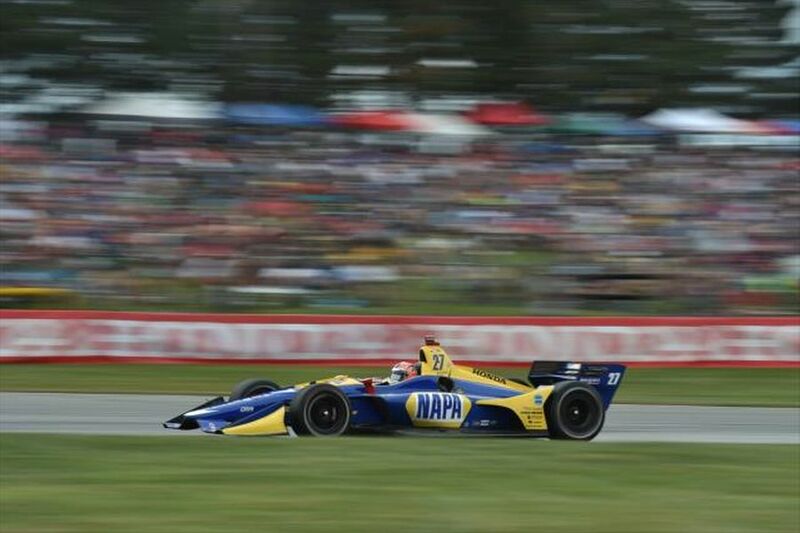 The driver of the #27 Napa Auto Parts Honda led for 66 of the 90 laps and won the race by 12.8285 seconds over Robert Wickens in the #6 Schmidt Peterson Motorsports Honda. Team Penske’s Will Power completed the podium. The victory helps Rossi to progress into the second place in the championship with four races remaining, 46 points behind Scott Dixon (Chip Ganassi Racing), who finished fifth on Sunday at 2.258-mile Mid-Ohio Sports Car Course. The defending champion Josef Newgarden finished fourth and he’s now third in the championship standings, further 14 points down to Rossi. The next round of the 2018 IndyCar Series is the ABC Supply 500 at Pocono Raceway on August 19.